The third in final play in Alan Ayckbourn’s 2001 Damsels In Distress trilogy, all three parts of which are ambitiously being performed at Pitlochry this summer, is the most satisfying of the lot. 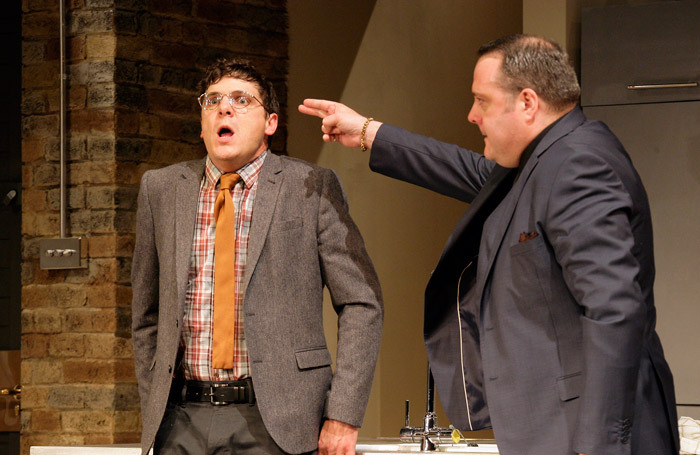 RolePlay best demonstrates Ayckbourn’s ability to find humour in the unlikeliest of situations and there is a greater depth to the characters than in the other two plays, FlatSpin and GamePlan , and this brings the best out of the cast. Justin – a delightfully gauche performance from Christopher Price – and his partner Julie-Anne, played by Kirsty Mackay (a complete transformation from the tough Glaswegian she played in FlatSpin) are getting engaged and preparing to meet their respective parents for the first time. Their engagement party rapidly turns into one of Ayckbourn’s classic dinners-from-hell, complicated by the arrival of lap dancer Paige Petite who is escaping from her violent gangster boyfriend. In the role of Justin’s drunken mother, Arabella, Amanda Osborne has all the best lines, proving a huge embarrassment to her son. Gemma McElhinney revels in the role of the Paige, who drops in on their dinner (literally) from the balcony above, and there’s strong support from David Mahoney as her minder. Owen Aaronovitch and Stephanie Willson add to the confusion as Julie-Ann’s parents, a couple of no-nonsense Doncastrians. Richard Baron’s production is sure-footed and Ken Harrison’s design typically handsome.